Will you get the best job offer possible? What if you don’t get the offer you hoped for? See this Salary Negotiation Guide. Getting a better job offer with a higher salary isn’t just limited to the actual salary discussion. If you want to end up with a better compensation package, start in the interview. When you ace the interview, they’ll see you as more valuable and want you more. How do you wow them in the interview? Prepare and practice answers to common interview questions. You’ll project more confidence and they will perceive you as a stronger candidate. Research the company through Google, LinkedIn, the company website, and your network. The more you know, the stronger your interview answers will be and the better questions you’ll ask. Bring your brag book. It will be a great piece of evidence that shows what you’ve done in the past. Create a 30-60-90-day plan that shows what you can do in the future. Your plan gives them a test drive of you in the job. It’s very powerful and is proven to generate stronger job offers. Choose and prep great references who can speak to your job performance. The best references are past bosses. See these rules for references. Don’t bring up salary, benefits, perks, days off, or anything like that in the interview. This interview is a sales process in which you’re the product and the sales rep. They’re your customer. Focus on what they need and what problems they have and how you can provide solutions. Make them want you before you talk about how much you’re going to cost. Whatever your job is, look at what appropriate salaries are at your level, with your years of experience, in your part of the country. Cost of living affects the value of your salary. 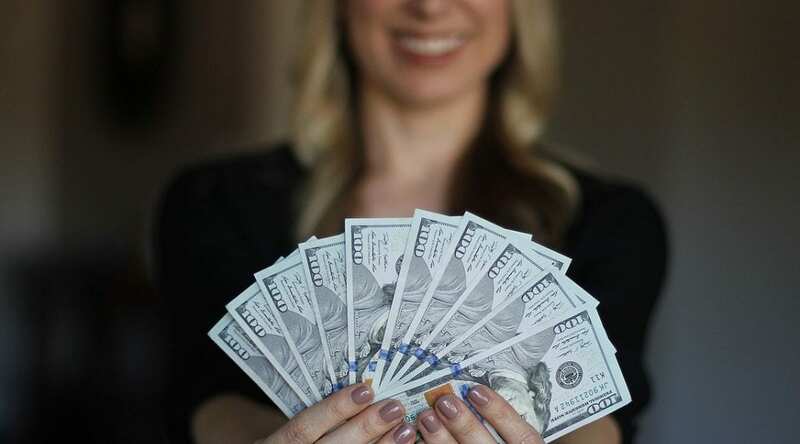 What seems like a high salary might not go very far in some place like San Francisco or New York; and what seems like a lower salary might get you more than you think in another part of the country. Good sites for salary research include Payscale.com, Glassdoor.com, or Jobstar.org. Even though you want to avoid talking about money until you actually have an offer, employers will still often ask you questions about what salary you expect or need to have. The best approach to questions about money in the interview is to deflect. However, if you can’t deflect, you can set a bias. You still haven’t given them a number, but you have let them know that you expect a good offer and know you’re worth it. You’ve set a bias that signals to them that they’re going to have to start at a good offer and not try to lowball you. The most direct route to a better salary is to just ask for it. Once you receive an offer, you can always counter. You may not get it, but you definitely won’t if you don’t ask. Companies typically expect some pushback on offers, so they won’t see it as a negative. One important thing to keep in mind: If they’re at the top of their offer in terms of salary, you can ask for other considerations. For instance, if they can’t offer more money now, you could ask for the possibility of more money after they have some experience with you. That might be an earlier performance review, consideration for an early merit raise, or additional responsibilities (that you'd be paid more for). Don’t forget about other factors that aren’t salary but do carry financial value. For example, you could negotiate for more vacation time, a larger bonus percentage, flex time, or other benefits like parking or gym memberships or a company car. One gentleman I know asked, “If I hit X target in 6 months, will you bonus me with a $10,000 Rolex?” They agreed—and he wears that Rolex today. Become a master negotiator! 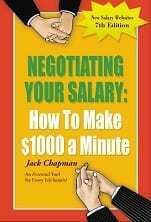 Watch the webinar I did with negotiating guru Jack Chapman, author of How to Make $1000 a Minute.